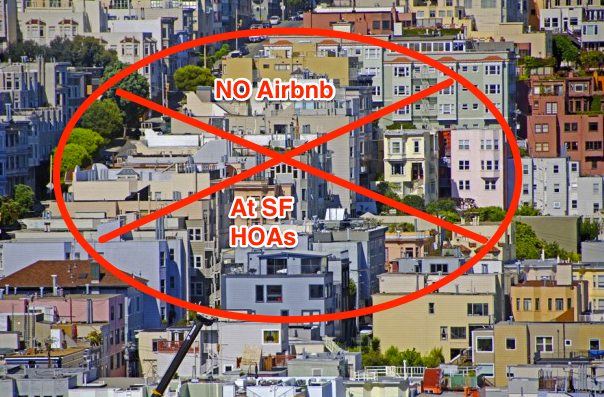 Housing advocates, landlords, neighborhood associations, and labor groups have actively opposed San Francisco’s Airbnb law, voicing concerns that vacation rentals were raising San Francisco housing prices, threatening security and access control within San Francisco properties, and interfering with the residential character of San Francisco neighborhoods. The attorneys in our office have been particularly concerned about the impact that prior incarnations of the Airbnb law would have on community associations in San Francisco. In fact, SwedelsonGottlieb’s managing partner, Sandra Gottlieb, recently spoke with David Chiu, President of the San Francisco Board of Supervisors, about creating successful communities in San Francisco. The rental and leasing restrictions contained in an association’s CC&Rs, including a requirement that minimum lease terms be greater than 30 days, or any express prohibition on short term rentals should control over the Airbnb law. This means that an association in San Francisco will still be able to enforce existing leasing provisions, as well as adopt amendments that establish minimum lease terms of six months or one year (or some other reasonable length). As we expect other cities and perhaps even the State of California to adopt similar laws, the board of directors of every California condominium, stock cooperative or homeowner association that is concerned that owners may start to rent out their units or homes to strangers who will be coming and going and partying at their associations should review their CC&Rs or other governing documents to see if they contain restrictions on short-term rentals. If in doubt or if the board wants to amend the governing documents to beef up or add such restrictions, the board should contact the association’s legal counsel.